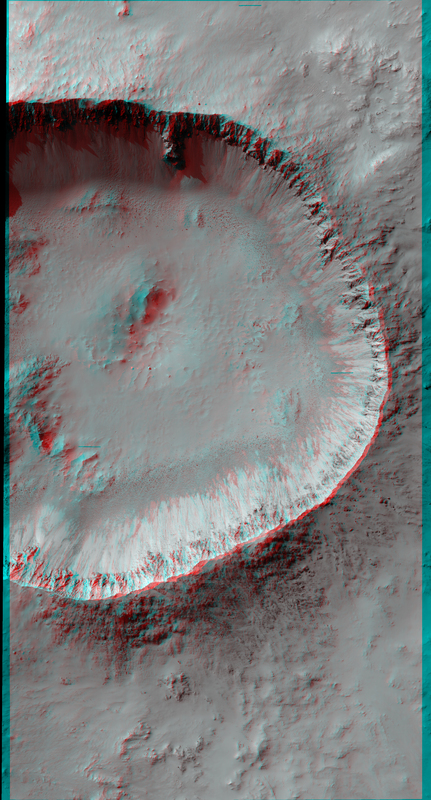 A 3-d view of a well-preserved and unnamed impact crater on Mars, as seen by the HiRISE camera on the Mars Reconnaissance Orbiter. Credit: NASA/JPL/University of Arizona. Click for high-resolution version. Previous story Powerful M8.7 Flare on Jan 23.